How Anti-wrinkle injections, Botox, can reveal a fresher looking you. Anti-wrinkle Botox injections are a clinically proven, highly effective treatment for lines and wrinkles, brow lifting, and excessive sweating. Its popularity speaks for itself and its versatility is extraordinary. From smoothing away frown and forehead lines to addressing crow’s feet and lifting the eyebrows as well as toning the jaw line area – Botox is a simple and straightforward procedure for a younger, fresher look. Anti-wrinkle injections work by relaxing targeted facial muscles that cause lines and wrinkles to form and skin to sag and droop. It’s extremely safe and virtually painless when administered by a trained and experienced medical professional. At Persona Cosmetic Medicine, we believe in taking a personal yet professional approach to help you achieve the results you’re looking for with Botox. 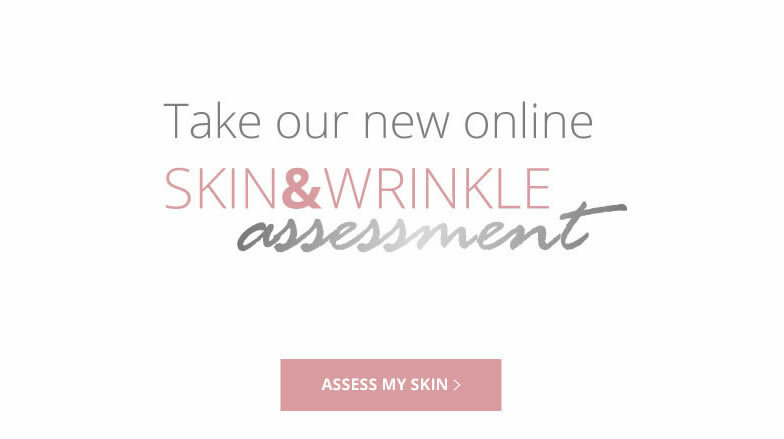 During your free consultation, we will advise on facial areas we can target to help maximise the anti-ageing effects. You will have the opportunity to ask any questions and go through any details you are not sure about. Our doctors and nurse prescribers use Botox to treat forehead and frown lines almost every day, and one of our most popular treatments is the Brow Lift. Our skilled team also use Botox injections to target the jaw line area and lift jowls, soften lip lines and correct down turned smiles, as well as tighten and lift the neck, and reduce lines and creases on the décolletage area. Our expertise and experience allows our medical team to use anti-wrinkle injections for other concerns such as excessive sweating and migraines. Excessive sweating (also known as hyperhidrosis) can be treated by injecting Botox into the sweat glands around the nerve endings, inhibiting the sweat gland, so less sweat is produced. We commonly treat the forehead, top lip, under arm area as well as palms and the soles of the feet and achieve results that last between 6 to 12 months. Botox can also be used for the relief of migraines and tension headaches – a treatment that’s becoming increasingly popular. Find out about the treatment process here. I have Botox to treat my frown lines between my eyebrows and lines coming up each side of my eyes. Treatment was quick, painless and explained very clearly each step of the way. Effects for me take about 2 to become fully apparent and I am always very pleased with the results, it completely smoothes out the lines that I am concerned about. Many thanks Persona for my treatments. Dr Lisa is the best botox practioner I have been to and I’ve had 7, with results ranging from poor to quite good. Then I came to Persona and the results are outstanding, every thing I wanted and more. Every clinic say come back in two weeks for assessment, but when you do they say all kinds of excuses so they don’t have to re-inject. Not here, Dr Lisa agreed with me that I needed a slight bit more here and there. Finally my search is over for that Dr that listens to what you want and helps you achieve it. Already booked in for other treatments. I first had Botox on my forehead more as a preventative treatment than a cure. It resulted in giving me a brilliant brow lift. I now have my treatment around every 4 months or so to prevent any more lines developing but more to maintain my gorgeous eyebrows! I’ve been coming to see Lucy for years. My treatment has been fantastic & I always look forward to visiting Persona. On top of that Lucy is sooo lovely. I have recently had botox on my brow to do my ‘worry lines’. Apart from being extremely pleased with the procedure, you have also managed to cure me of an acute sinus problem I have had. I have had acute rhinitis for four years, I had an operation last year to bore holes at the back of my nose, burn some stuff away and grind some bone down – it bloody hurt and did not work, I have had that many sprays, steroids to spray up my nose – nothing worked. Then after a week of having the botox injected, I realised my symptoms were going, and now they have gone just the odd sneeze. Thank you very much. Botox is the brand name for the prescription-only drug Botulinum toxin type A - a highly purified protein derivative prepared from Botulinum. It relaxes facial muscles in order to reduce wrinkles and provide lift for a more youthful look. Botox is highly effective for treating facial areas and targeting frown and forehead lines, crow’s feet, furrows between eyebrows and lines around the mouth. It can also be used to lift the brow, define the jawline and lift jowls. Non-facial areas suitable for treatment include the neck and chest. Botoxis also used to treat excessive sweating (hyperhidrosis) and migraines. Results usually take between 3 to 14 days to appear. It can vary from one person to the next, but generally speaking around 3 to 4 months. Having regular treatment can help results last longer with many of our clients having Botox every 5-6 months. Botox is extremely safe when administered by a trained and qualified medical practitioner. Side effects are temporary and minor. They include slight redness, swelling and bleeding with a small chance of bruising at the injection site. How should I care for my skin after Botox? Where will I have my Botox? 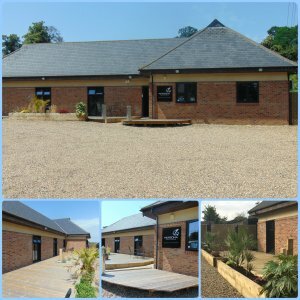 Our Botox procedures are carried out by our registered medical practitioners and we are located on the outskirts of Bexley Village down a private, tranquil lane just off the A2 and close to Bexley train station. We are just 5 minutes from Dartford, Blackfen, and Bexleyheath, and only a short drive from Sidcup, Pettswood, Chislehurst, Orpington and Bluewater shopping center. We offer plenty of free parking and the privacy of our setting gives you complete discretion.